I've been using this product for 3 years now! This is my everyday skincare product. It protects my face from the sun as my skin is very sensitive. It is also perfect as a base for make up! Absolutely love this product! I have been using this BB cream for over 4 years and it still gives me the beautiful look i want. I love that it is very light for day time use. I always have other ladies comment on my flawless make up and I always advise them on my favourite BB cream. This is a lovely, thin watery consistency BB cream. It has a nice scent to it. It has decent coverage. The shade range is absolutely garbage (THIS COUNTRY IS MOSTLY MADE UP OF DARK SKINNED PEOPLE AT LEAST CATER FOR US). It often goes bad before the recommended expiry date and if you use it for close to that amount of time, you will break out BADLY. Just use it for max half the time the packaging says. This product is great and looks very natural on the skin. I get compliments on my skin everytime i wear it. I love that it gives me a very natural finish, the only downside is that it does not last in those hot summer days for me even with a powder over top. But i do recommend it for anyone looking for a seamless look. I would not recommend this product to people with oily/problem skin. It does not dry down matte and it irritates the skin. I've spoken to a few women who shared the same experience as I did and all it did was make our skin react badly. It also transfers during the day and makes your pores look huge. The shade range is also quite disappointing. This is my favourite bb cream, I use it almost daily. I much prefer this to any of their other bb creams. Can be applied with fingers/brush/sponge. As a student I try to keep my beauty products cheap but effective, after trying this product, I would say it does it's job quite well. It's cheap and good to use on a daily basis, my only complaint is that I wish it came in more shades that catered for Indian skin. The product is very light and doesn't leave your skin feeling clogged and heavy. This BB cream also does not have a white, powdery finish which makes it suitable for people on the go and who don't have the time and money to be buying products to apply after. Great value for money and perfect for an every day, natural look. Simply pair with lip gloss and mascara for a flawless, effortless look! This product is amazing, i love the tone it gives to my skin. I love the fact that it is not heavy and does not change the color of my skin. I have used it for over two years and also like the fact that it lasts long even though i use it on a daily basis. Garnier BB Cream for combination skin. Amazing brand but sadly their BB cream products does not work for me. I'm a 22 year old student who struggled to figure out my 'skin type' . 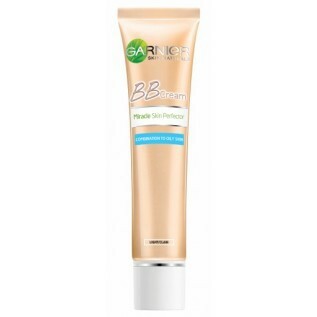 When it was established that I have combination skin I tried Garnier BB cream for the combination skin. After using this specific BB Cream my face was dry and flaked. My face seemed as if it was peeling because of sunburn, which was not the case. I have used the regular BB Cream by Garnier but sadly left my skin to oily and to shiny. This product is amazing and really goes a long way. It does what it says on the bottle and I have used a lot of BB creams but this one is great. I love love this product for everyday use. Apply like moisturiser with your hands allowing a quick and easy application. I use concealer as well as finish off with a powder for a flawless look. Available at most stores at an affordable price. When I first started using the BB cream in 2013 it was everything I needed for my skin. I lived in KZN and even with the humidity it always did a great job of moisturising without dripping or fading with the weather. The medium shade was also perfect for me. I recommended it to everyone who would listen in my circles. Fast forward to 2016, the shades are not the same anymore and it is a tad dry. I was disappointed because I do not like to wear too much make up. I've had to give away some because the shade was either too light or too dark but not nearly useable. I wish Garnier had kept doing whatever it had been doing. After countless reviews, I was expecting the BB cream to rival all others. At a good price coupled with the fact that it is easily available at various local retailers, I was hoping this would be my new go to for days where I wanted to wear less make-up. This product just simply didn't do it for me. Firstly for a South African population, I found the shades that were available very limited compared to other brands, Over and above that I have oily skin and this product seemed to exacerbate the problem and did not help matte my skin at all. By midday it seemed I had little to no make-up left on my face and my skin was shinier than normal. The consistency was ok but left my olivey complexion looking a bit dull and grey. Unfortunately, this product was a complete miss for my oily, olivey complexion skin! I have been using this product for over a year now, and its my absolute go-to product, for price and effectiveness. I have tried the likes of Bobbi Brown and Smashbox BB Creams and in my opinion this one beats them. One: because its literally a quarter of the price of the others and two: because I love its light formula, it lets my skin still breathe. I find the light coverage suits me perfectly, especially during a hot Durban summer when you really don't want too much stuff on your face. I just put this on with a light dusting of bronzing powder and voila! good to go! The only downside is it maybe doesn't last the whole day as well as the more expensive brands, but the pro's still outweigh the cons in my opinion. I have been using this product for a couple of months now and although I thought I would not like it (as most products that claim to be specially made for oily skin usually does not do the job) I am really loving the product! I have a combination skin with my T-pane becoming very oily during the day, and my cheeks start showing large pores as the day goes by. I was used to much more coverage but decided to go the way of a more shear look and this BB cream really did the trick. Previously I had used the BB cream from Garnier for normal skin, but the one especially made for oily skin is really good. Look, you will find some excess oil as the day goes by, but nothing that a bit of powder or a quick blot won't fix. Another thing to remember, this is a BB cream, not a foundation, so you will find that you can see your skin through this product. What was really nice for me was that I could build the product nicely (not for a full cover face, but a more even toned skin). If you're looking for something to put on your face especially on weekends when you don't want the full make-up look, I'd highly recommend this product! BB cream is creamy in texture and offers daily sun protection, extra hydration, and a touch more coverage than a tinted moisturizer. My beauty secret that keeps my skin looking flawless every time, is the Garnier BB cream, instead of foundation, I prefer to use this. It’s all in one, anytime, anywhere skincare solution for making your skin perfect. I use it on its own, I use it as a primer, when I get up, going out, a touch up, pre-date beautifier… the list is endless, I mean it’s literally for anything. This light texture that instantly melts into my skin, the formula with mineral pigments gives an instantly perfect skin, because I have lots of marks on my face, so this helps 100%, even with little pimples. Its sheer coverage, imperfections look blurred. My skin looks luminous, smoother and more even. Its 24hr hydration. My skin feels more supple, smoother, softer. UV protection, SPF15 to help protect the skin. This BB cream is enough to even things out but not heavy like a foundation, really great for every day use. For me its very natural and covers pimples and acne scars very naturally and the skin even looks much healthier. For a extra matte finish, I always add on some prime powder, just so it doesn’t look a little oily when I’m in the sun, or for when it’s very hot. Go B.B! In just one step, even, cover, hydrate, illuminate and help protect your skin. This was my first BB cream purchase ever. It is light on the face when applied and gives very good coverage for a product that is supposed to be a tinted moisturizer. It is easy to use and if you find your perfect shade it is perfect for everyday use as I feel like it doesn't clog pores. 1. The packaging- it has a watery consistency making it difficult to use, I think they should make better packaging like that of liquid foundation for easy usage. 2. Lack of Variety- The color shades are three, light, medium and dark. With that being the case those with fairer skin and much darker skin cannot find a shade unless they mix them up. I am a black woman who is light brown to medium brown but I use dark and it is still a shade or 2 lighter than my skin shade. Other than that, It is a very good product. This was a miss for me. After extensive research on Youtube and so many positive reviews, I purchased this product. Sadly, it did nothing for controlling my oil. Within 2 hours after application, my oil broke through. However, it does apply effortlessly, leaves a beautiful finish, gives great coverage and is really affordable. I much rather prefer my MAC bb Balm which really controls oil and does not require a primer. So in conclusion, I will not be repurchasing this product. I must start my saying that I have a long history with BB Creams. My first BB Cream which I purchased was the Garnier BB , way back when it first came to South Africa and I was smitten. I was completely taken by the multi tasking wonder of a face cream. It replaced all my other make - up products and left my skin moisturised and feeling smooth and soft. Then I moved to South Korea, where I purchased BB Creams there and it was the complete opposite of what I was used to. Thick, sticky pore clogging... no thank you. So I was completely put off purchsing any BB Creams, untill now. I must admit I was very excited to strat testing the Granier Miracle Skin Perfector when Beauty Bulletin snet this to me and I was definitely not disappointed. I love the smooth and almost liquid texture of the product. It goes on easily onto my skin and provides light, but ample coverage. It's moisturising, but non oily and it leaves my skin matt, but looking healthy and energised. I feel that I have less breakouts and I don't need to apply extra concealer or any other make up products to my skin after using this. I am back to using just this onmy face instead of foundation. I still use my daily moisturiser with it, but I don't think its really necessary. I love the fact that it is a multipurpose product, which saves me time and money. I really enjoyed this product and will definitely be repurchaing this! Great value for money! I have been using Garnier's BB Cream miracle skin protector for little under a year now, and it has become one of my everyday essentials. I love that it is so light yet has amazing coverage. This is the perfect alternative for those wanting to cover blemishes without having to wear foundation everyday. It is fairly priced and has the added benefit of spf protection. The only thing I would change about the product is the fact that it only comes in three shades. While it works for my skin tone, I doubt that the limited options cater for most consumers. At first I was quite satisfied with this bb cream. But eventually, it started to oxidize and smell like acohol, wich really bothered me beacuse I'm quite pale and have sensitive skin. Would not repurchase. Garnier BB Cream for combination/oily skin has good coverage without being heavy, so it is perfect for summer. I find it gives better coverage than the original one without being as rich. This is great for hot weather and gives a flawless finish. I received a box from Home tester club full of Garnier BB Cream. I must say i had to give it all away since it did not blend well with my skin tone yet it was for the darker skin tone it did not do me justice, i looked grey. It gets absorbed fast on skin esp when you going to be under the sun, protects from sun rays. Those i gave it too loved it i guess it was a matter of not blending well on my skin. I have started using the BB cream sometime last year. I apply it as a moisturiser and then put on a bit of powder. Its so light and I recommend it. I personally don't like regular foundation because of the coverage it offers. This is a fantastic alternative for girls who still want a bit of coverage but still want to look natural. It's also a great price, with SPF added. You cannot go wrong with this. I was really expecting alot out of this bb cream having read the reviews on BB. However, i found that the shades available are really limited compared to other brands, and it turned my skin oily and uncomfortable after a few hours. I already battle with oily skin so this product didnt agree with my skin at all. I feel as though this is more than BB Cream and I say this because it does better than most foundations that are on the market. 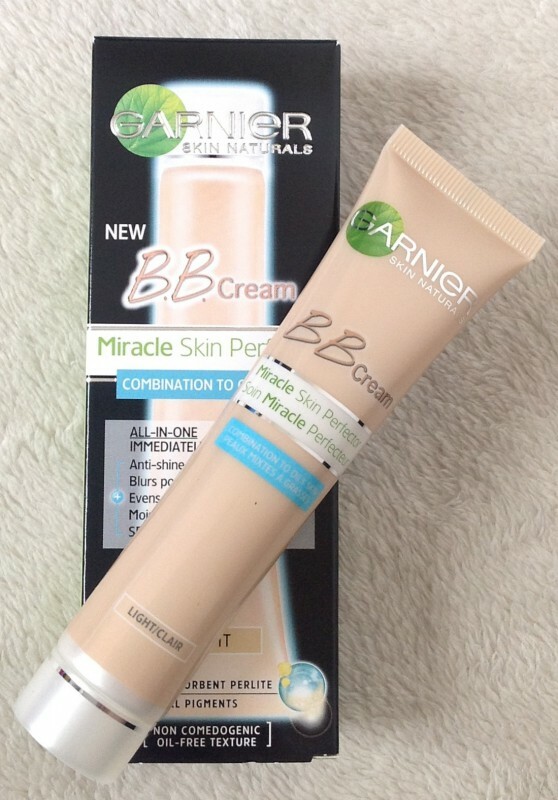 The Garnier BB Cream Miracle Skin Perfecter truly impressed me. Termed as the "miracle skin perfecter" I experienced my skin visibly morph into smooth and flawless looking skin. My combination skin benefits from this BB cream as it dried off to matte finish. I hate feeling and looking oily so I absolutely loved this feature in the Garnier BB Cream. I would definitely purchase this again. This was the very first BB cream that I tried. I couldn't wait, and I have used it a few times but I am not in love with it. It has a phenomenally great price, and it the texture is wonderfully creamy out of the tube, but I have a big complaints with how sticky it stays on the skin, and how oily it is. As someone who has dry skin, this can be problematic because it isn't very moisturising, per se, it just doesn't let me skin breathe at all. My face feels like it is clogged up. It is easy to apply, but needs some blending so as to suit your skin tone (for me, anyway - fair wasn't as light as I was hoping for it to be). Setting it with power after application helps it last longer, but I end up with very unhappy skin. I use it very occasionally, but I don't know if I will be buying this again. Such a pity, too. I have tried out this cream an was not very impressed. Firstly the shade does not suit my dark skin tone and the coverage did nothing to hide any of my acne scars. One plus is that it does leave you with a dewy finish though. This product has a very nice shine to it initially, but I found after a few hours that it made my skin look oily. So it's great for going out for an hour or two, but not so much for every day wear. I much prefer the Maybelline BB Cream because of its matte effect. I decided to try out a BB cream since I have quite freckly skin and I don't like the look I get from using heavy foundations. I chose this product since it was relatively cheap ( I didn't want to get something too pricey since it was my first try) although I tried it out and I found that it left my skin quite dry and flaky. This was strange because I bought the one for combination to oily skin, which is my skin type. A friend of mine has the same product and she experience the same effect. Not my favorite product. This is a light cream which is easy to apply. It creates the look of a flawless foundation, without the harsh chemicals we sometimes apply to our delicate skin. The SPF factor is a huge plus since we're meant to apply it every single day, not just in summer. Love this! Am loving this BB Cream - am not a fan of make up but I can do with this cream any day! Gives skin a nice silky complexion. Great coverage and buildable at the fraction of the cost of a foundation. Wonderful multi-benefit cream worth every penny. BB cream from Garnier is really a great product I love the fact that it's an all round product so this elimates using so many face products. It's affordable which is a huge bonus. It gives a great light cover for a more natural look. An absolute steal! And a gem of a product! I bought dark! Previously i used medium! It's a perfect match for my skin! It has anti shine,long lasting mattifying effects,evens complexion,boosts and creates a healthy looking glow in skin,moisturisers and has SPF 20! It's the perfect product for travel or handbag! It's thick enough to function as a foundation and primer! Fantastic product! Not a single negative thing to say! Long lasting effects include minimization of pores and improved radiance of skin! U simply can't beat that!